This are Rush 2112 dog tags on a 24" ball chain. 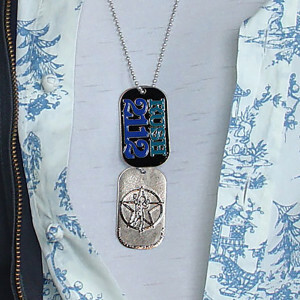 You get two dog tags, and there is a small ball chain you can use for your keys. Made from high quality pewter metal. Size of each tag is approx. 2" X 1".